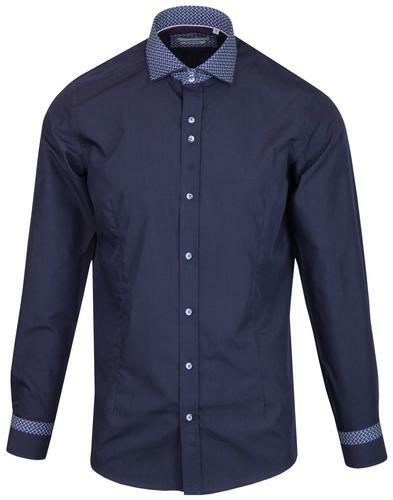 Guide London men's 1960s mod smart shirt in navy with fantastic retro weave print to collar and cuffs. The sublime basket weave print takes inspiration from classic mod basket weave shoes and adds texture to this cotton blend shirt. Guide London's archetypal button placement with retro two tone finish. 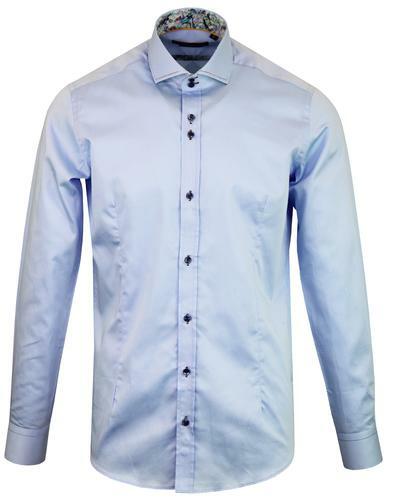 Neat piping trim to the wide spread collar ensure a tailored edge to this men's Guide London shirt. A retro clothing classic that is sure to add a dashing and debonair edge to smart mod attire. - Guide London men's retro weave collar print shirt in navy. - Contrast basket weave pattern to wide spread collar and cuff trim. - Piping trim to collar. - Smart mod cut with two tone buttons. 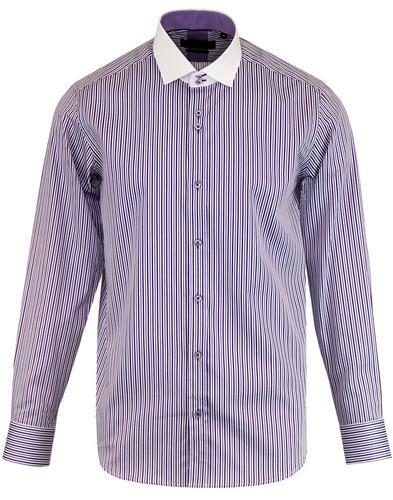 - SKU: LS74661 Weave Collar Print Shirt.